In an ideal world, I would love to say that I stick to a strict skincare routine every single morning. However, I must face the fact that more often than not I am rushing around trying to get out of the house on time for work; often not making a cup of tea before I leave or even having any breakfast, let alone following every single step of a skincare routine (I confess to sometimes skipping out the toner). That being said, I do try and in doing so I have found a really nice little routine that is so far working rather well for me. Naturally of course the success of this has spurred on this blog post. 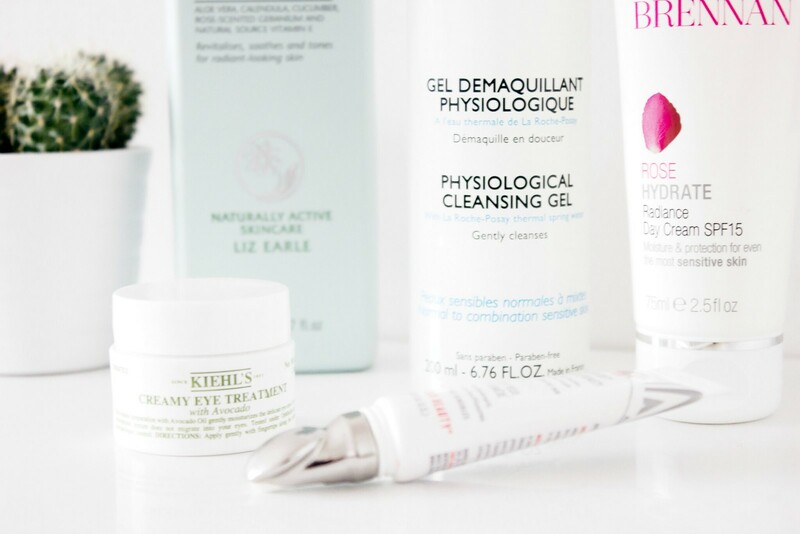 What has pleased me even more is that all the featured products today are all old favourites of mine, which has somewhat curbed my curiosity in terms of buying new skincare…for now. Generally speaking and of course depending on the time of year I like to ensure that my morning routine consists of light products which are hydrating, protective in terms of SPF and which work well under make up. This is a product which I have used several times and each time I open a new one I wonder why I ever used anything else. It is incredibly light and so refreshing on my skin, so much so that I really do look forward to using this (I need to get out more). However, unfortunately this has been discontinued which has really annoyed me as I think it is such a great product. It has since been replaced with the Micellear Water Gel which I do own and whilst I like it, it just is not the same as this. 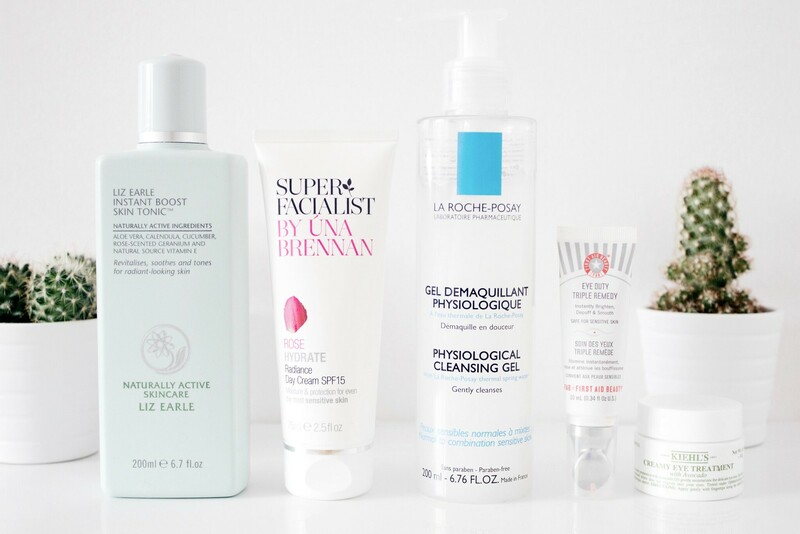 Why La Roche Posay? Why? When I first used this product many moons ago it was quite simply love at first sight, or something to that effect. Originally reviewed back in August 2013, this has remained firmly within my routine ever since. Once again it is light and refreshing and it smells beautiful. It is a pure pleasure to use after cleansing in order to prep my skin for my moisturiser. For a full read up on this then head over here. First and foremost, I love the fact that this has SPF 15 within it as more often than not most of my foundations do not. It means that I can pop it on in the morning and not have to think about adding anything extra within my routine. The majority of rose scented products out there can smell extremely traditional which I personally have nothing against, however they can be quite over powering which is never good when it comes to skincare for your face. Despite this being rose scented it is a very light floral which is hardly noticeable once applied. This moisturiser leaves my skin feeling soft and hydrated without any greasy feeling in the slightest. If ever there was a product that I harped on and on about then this would most certainly be it. I do often feel like a broken record when it comes to this because I mention it at nearly every given opportunity. It sure is a sign of a darn good product though and to this day I would recommend it to anybody. It is a thick eye cream in my opinion but it instantly hydrates my under-eye area like no other, it really is perfect and it without a doubt helps to keep my concealer looking good once applied. For a full review please head on over here. Without fail, if there is one product I will not skip using each morning then it is the First Aid Beauty Eye Duty Triple Remedy. For me this is a must as it helps to hide my lack of sleep on a daily basis. Personally, I would not opt to use this as an eye cream in itself, this is mainly due to the fact that it is not hydrating enough for me, that being said as a tinted eye cream on top of my normal choice it works perfectly. It is of course salmon toned in colour which helps to counteract against the blue tones of under eye dark circles. The formula sits well on my skin and it does, without a doubt make a visual improvement for me. It goes without saying that I will be repurchasing this or at least something similar very soon as mine is almost empty.